SMT lines, system integration and test. The continued investment in the five verification and validation laboratories ensures that all products are able to perform to specifications over their entire life. From temperature and humidity, EMI/EMC/ESD, shock, drop and vibration to high speed signal simulation and verification we have specialized equipment to perform the testing. All test are performed to the specifications of norms and standards relating to the target market or application, be it in Telecommunication, Military, Transportation, Energy, Automation or Healthcare. 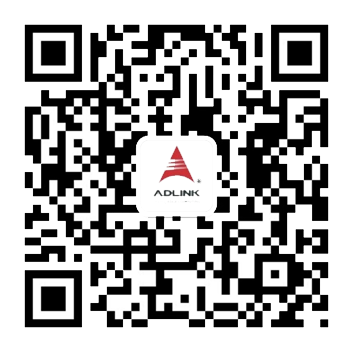 ADLINK ensures that all our products deliver flawless performance. In this video, we show how ADLINK’s High-Speed Simulation, High-Speed Signal Verification, Environmental, Mechanical, and RF labs ensure full-scale functionality and reliability for the entire life of every product. At ADLINK we make sure we understand all the requirements of embedded computing products. A critical part is to ensure that the boards, blades and systems - designed and manufactured by ADLINK - will perform flawlessly over the entire lifetime in the field. This is part of our strategy to create platforms that are “robust, reliable and ready” for their respective tasks. These requirements vary with the market the products will be used in. In depth validation and verification is an integral part of the R&D process and thus led to the setup of the five labs. They are critical to provide the necessary platforms and expertise to ensure the needed level of functionality and reliability. In the following we will visit each of the labs. The high-speed signal simulation lab, pre and post route signal simulation ensures signal integrity during the design cycle, it also allows for performance optimization prior to prototype and test. The high-speed signal verification lab is equipped with several high-end signal analyzers and oscilloscopes to ensure that high-speed signals such as IEEE 802, PCI express, SATA, USB, HDMI, DP and DDR4 meet the requirement of the specifications. The tests also include advanced testing such as HASS (highly accelerated stress screen) and HALT (highly accelerated life test) using dedicated test chambers. The mechanical lab - The wind tunnel test allows to measure airflow and air impedance for a system or board/blade; dust and water ingress protection for I-P-rating, as well as force measurement for Heat sink designs and Strain gauge test. Some of our products include CMOS imaging devices and LCD screens, for those color and luminance tests have been established. For mobile devices, touch panel test, keypad lifetime test, and connector life test are also established. The RF lab is used to verify the function and signal quality of wireless communication interfaces. It is equipped with specialty measurement instruments to verify 3G/LTE, Bluetooth, WiFi, NFC, BT and also GPS. Wireless communications has become very important for embedded systems; ensuring correct operation is a mandatory and critical item. ADLINK is committed to a continued investment in equipment, training to keep up with the speed of change in technology.